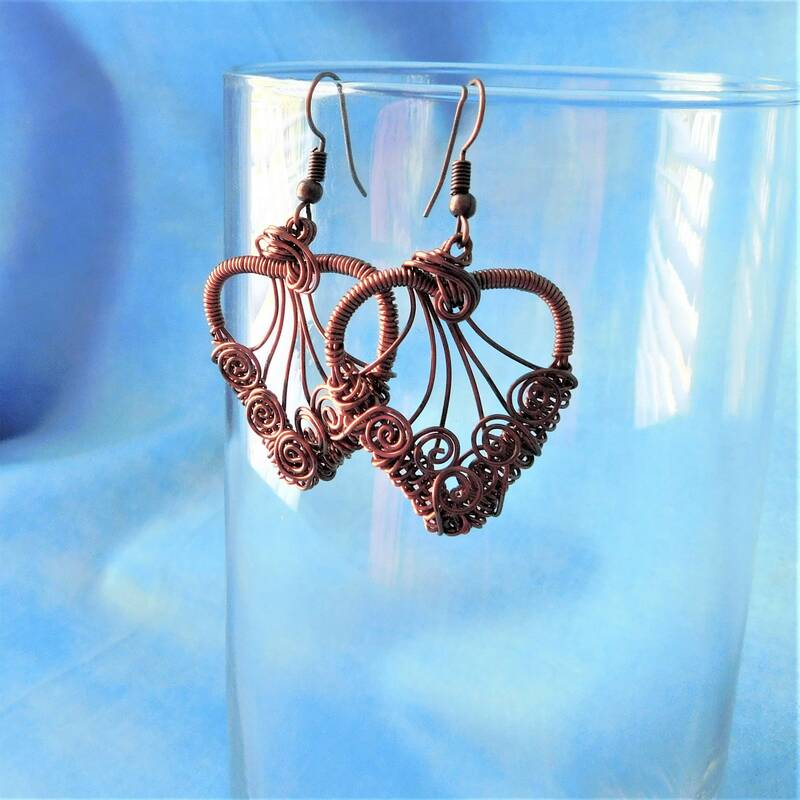 Antique colored copper wire is woven by hand, and sculpted into two heart shapes. 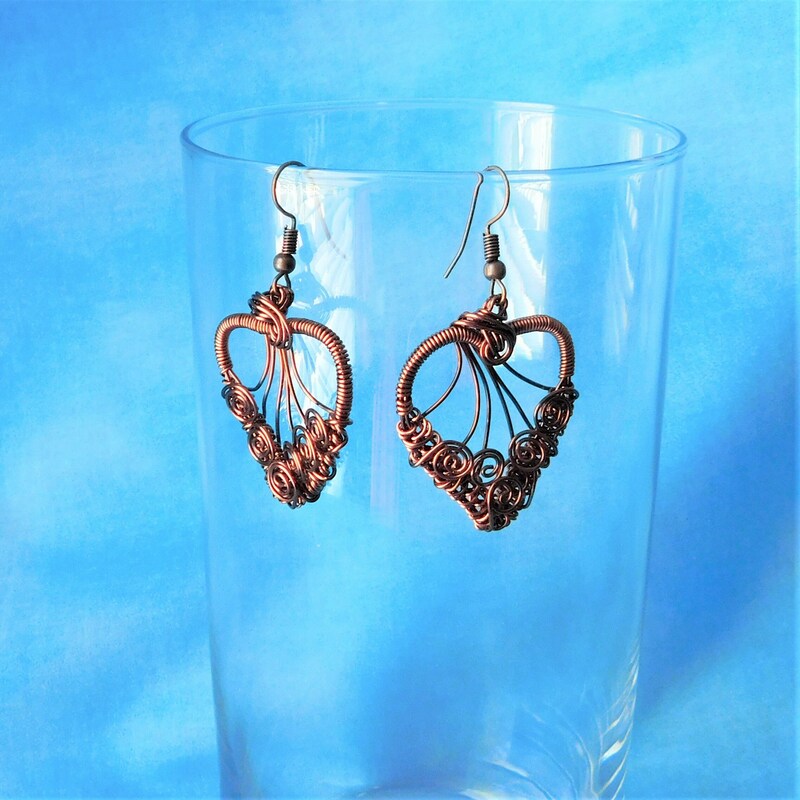 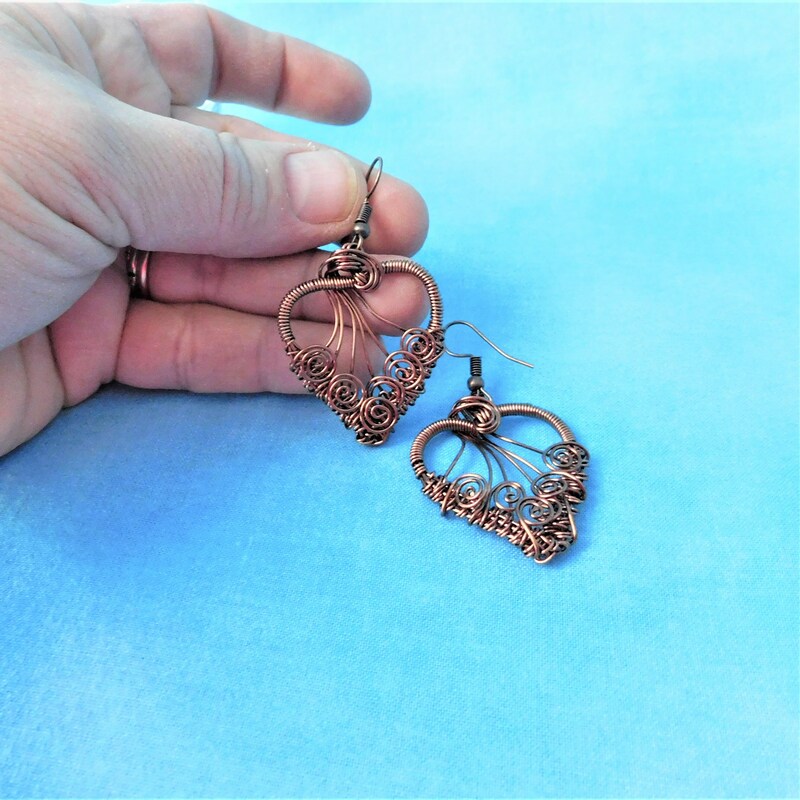 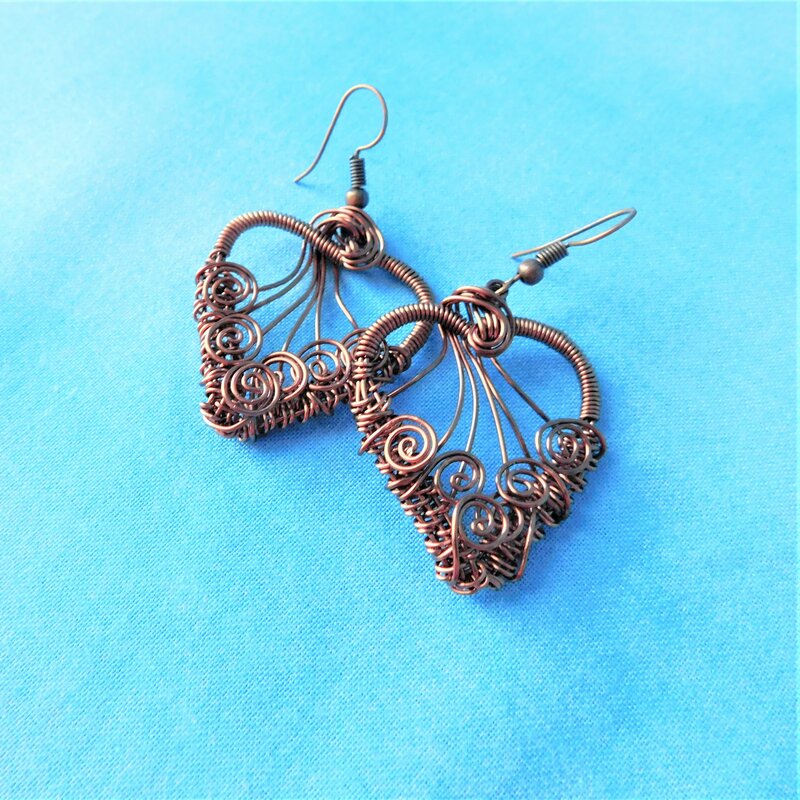 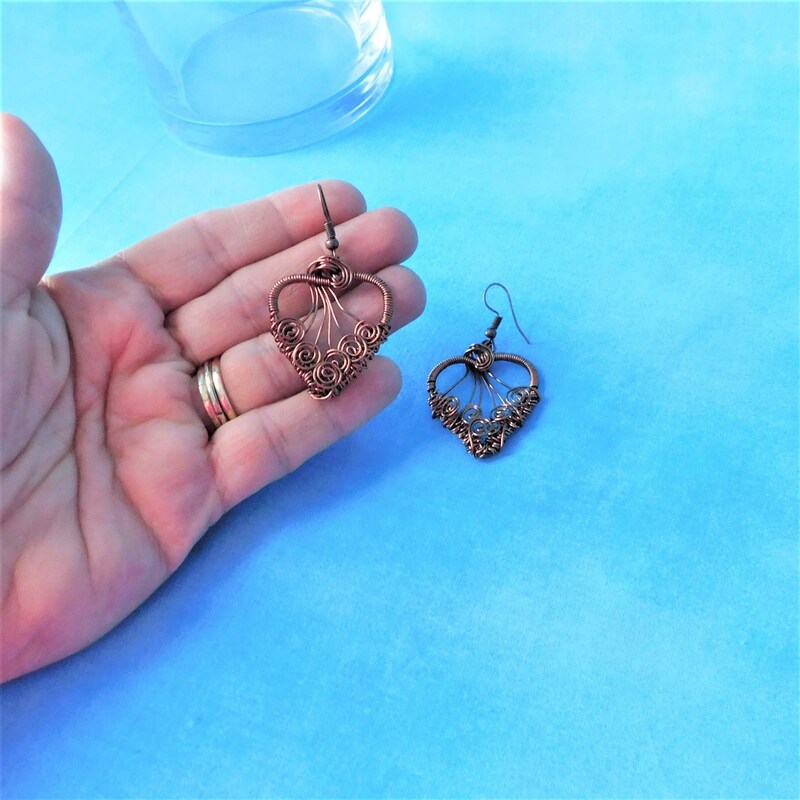 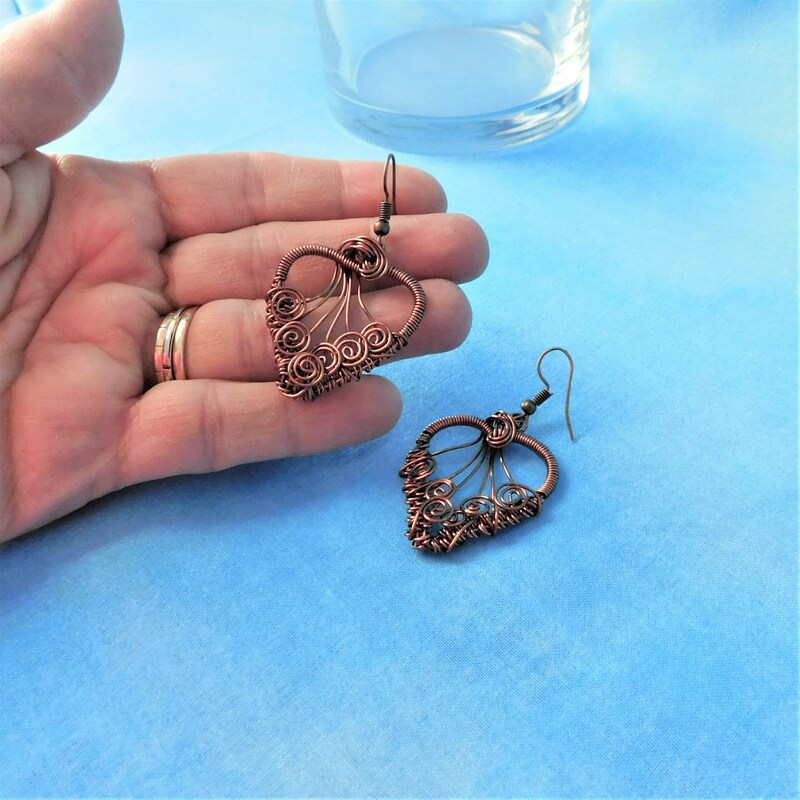 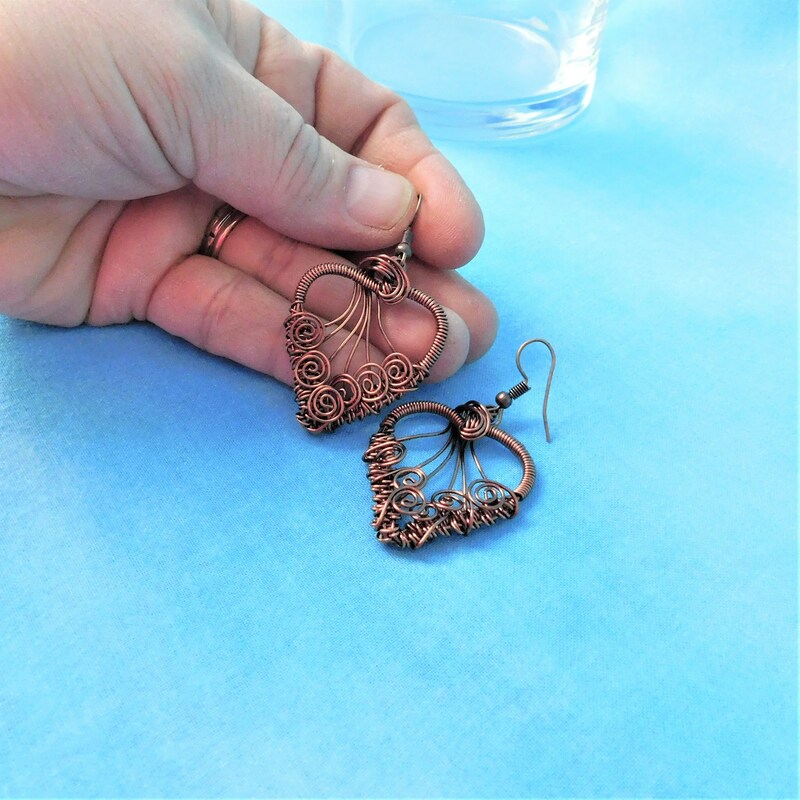 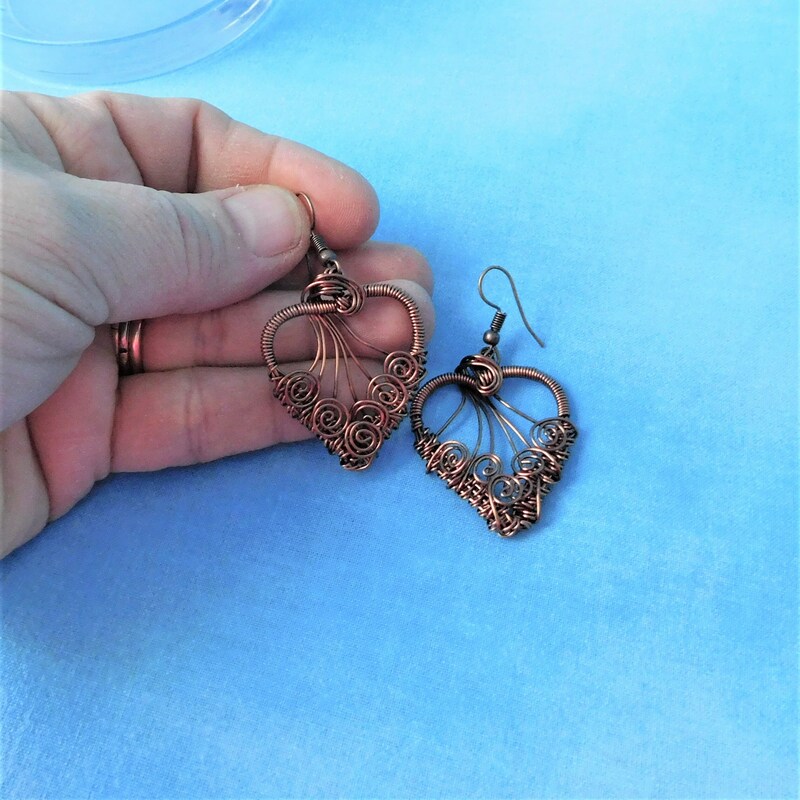 The hearts are suspended from nickle-free copper ear wires, creating interesting and unique earrings. 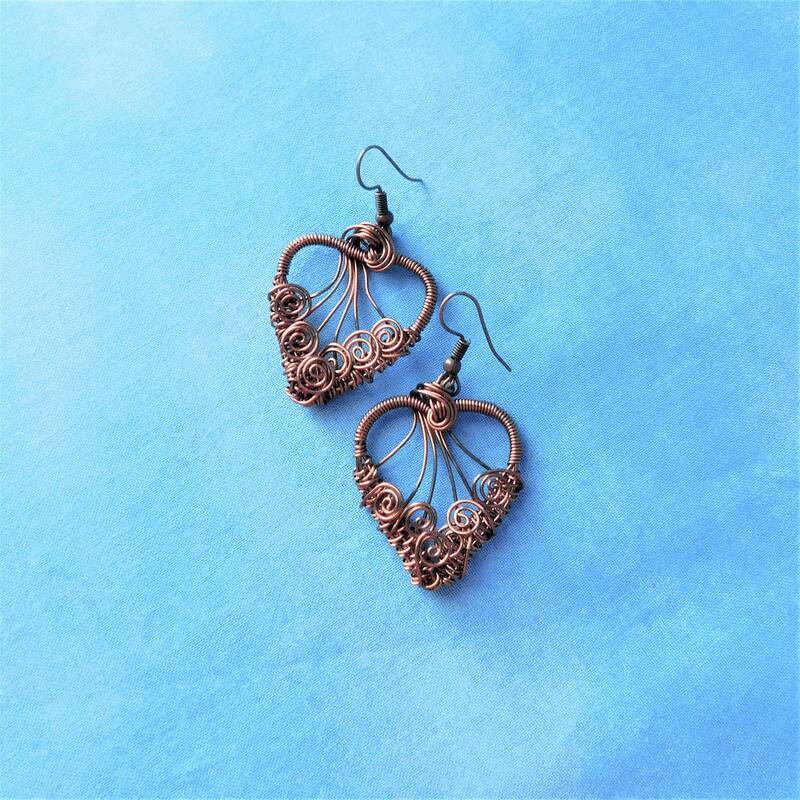 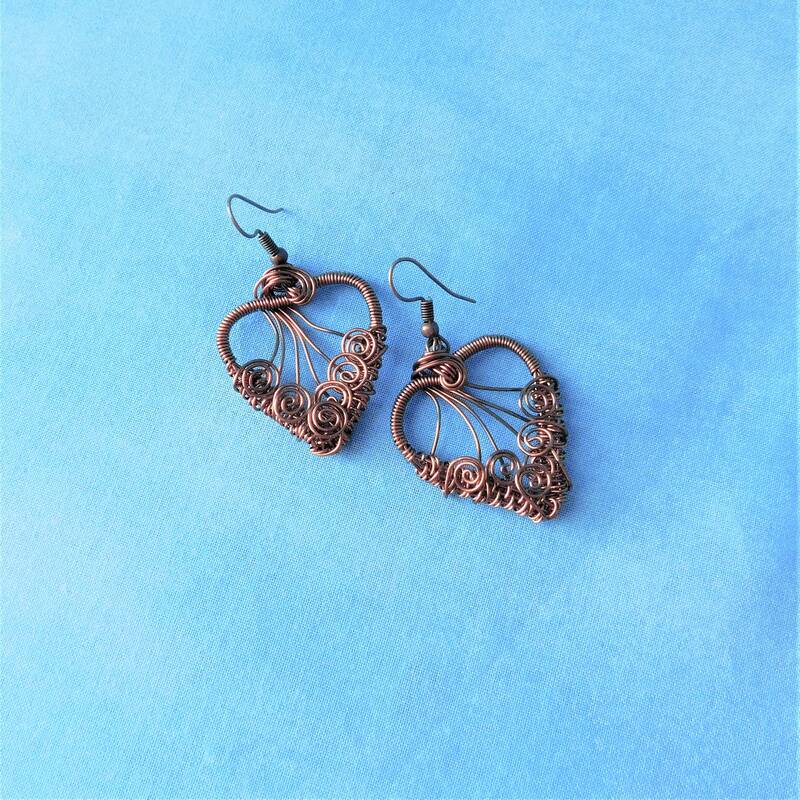 These handmade earrings are rustic but feminine, with classic appeal that will never go out of style.